The North American Committee is pleased to announce that there will be a North American retreat in 2019. It will take place in the Toronto area from September 8th to 13th. 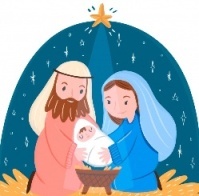 Merry Christmas, in the joy of the coming of the Child Jesus. The Ottawa community will celebrate the 50th anniversary of Faith and Sharing with a special meeting at St-Gabriel Parish on Saturday, October 6th in the afternoon. Everyone is welcome, especially former members of Faith and Sharing Ottawa. Also, it can be an opportunity for new people to discover the group. In this year of the 50th, let us stay in communion with all Faith and Sharing communities. Let us pray for this day of celebration. 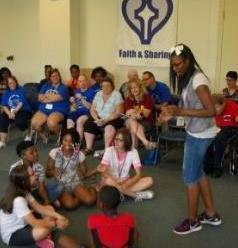 Today, Faith and Sharing is 50 years old. Indeed, from August 30 to September 7, 1968, Jean Vanier animated the first retreat at Marylake. Thus, we will be in spiritual communion to give thanks for all that Faith and Sharing has brought in our lives and in the world. 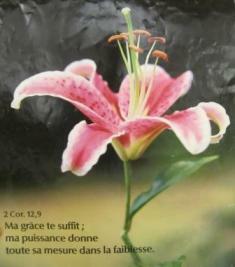 A prayer that could be meditated that day: the prayer of Faith and Sharing, available on the website in section Prayer. You are also invited to participate in the next Heart-to-Heart newsletter: say what your prayer was, or what Faith and Sharing has brought to your life. It can be just a few words or a few sentences, sent to: . Thank you to Jesus for all the blessings brought by Faith and Sharing! In Quebec City, the open retreat will take place from August 20th to 22nd at the Sainte-Angele of Saint-Malo Church. The animators will be by Father Pierre-René Coté and Mrs. Hélène Anctil. The theme: "To be well in solitude". In this year of the 50th, let us stay in communion with all Faith and Sharing communities. Let us pray for this retreat. Two retreats will begin soon, the same day. In Toronto, the retreat will be held again in Marylake, August 12-16, and the animator will be Fr. George Strohmeyer. In Nanaimo, Vancouver Island, the retreat will be held August 12-17. The animator will be Maria Garvey from Belfast, Ireland. The theme: "Your Presence is the gift". In this year of the 50th, let us stay in communion with all Faith and Sharing communities. Let us pray for these retreats. 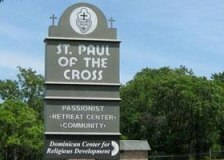 The Detroit community will have its annual retreat on August 4th from 10 am to 6 pm at the "St. Paul of the Cross Retreat Center". The animator will be Mrs. Faith Offman, and the theme will be: "Called by Name; Gifted for the Journey". In this year of the 50th, let us stay in communion with all Faith and Sharing communities. Let us pray for this day of retreat. August 30th, 2018, we can say that Faith and Sharing is 50 years old. Indeed, from August 30 to September 7, 1968, Jean Vanier animated the first retreat at Marylake, of which Faith and Sharing is one of the fruits. So, to put on his agenda: Thursday, August 30, for a personal prayer all at the same time, physically dispersed, but close by the heart. It is the turn of the Cleveland group to hold its annual retreat. It will take place from July 19 to 22, at Ursuline College in Pepper Pike. The theme will be "God of the Hungry," based on Matthew 25: 35-40, and the animator will be S. Patricia Dowling, CSJ. The 2018 annual General Assembly of the Faith and Sharing Federation will be held on August 14th, in Nanaimo, British-Columbia, at 2:15 pm. It will be during a free time in the Vancouver Island retreat, to which the 4 members of the North American committee will participate. The assembly is open to anyone related with Faith and Sharing, although we know that in practice, it will be people living the retreat who will participate. We can join in prayer. The Montreal open Retreat will take place from July 10 to 12, 9:30 am to 4:00 pm, at Notre-Dame-des Neiges Church. The theme is: "My grace is sufficient for you" (2 Cor. 12:9), and the preacher is father Hans Alexandre, priest of the Sacred Heart parish in Haiti. The Montreal coordinator, Max St Louis, warmly invites anyone interested to participate, for one day or for the whole retreat, and to consider themselves "at home". In this year of the 50th, let us stay in communion with all Faith and Sharing communities. Have a good retreat, friends of Montreal! 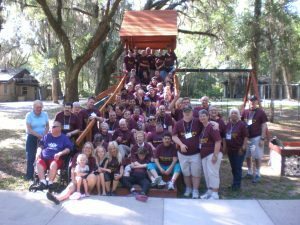 The retreat of the diocese of St. Augustine, Florida, will take place from May 20 to 24 at Camp St. John in Jacksonville. This retreat will bring together some fifty people, including some core members of l'Arche. The theme is the line from scripture: "Everyone is looking for you", and involves the call of the disciples. As in past years, Sr. Maureen Kelley and Fr. Ron Camarda are the main animators. In this year of the 50th, let us stay in communion with all Faith and Sharing communities. May the Spirit be present at the Jacksonville Retreat! It is tonight, Friday, April 13, that begins the two-day retreat in Rouyn-Noranda, with the theme: "Under a loving look". This year of the 50th is a great opportunity to be in communion with all Faith and Sharing communities. May the Spirit animate the retreat of Rouyn-Noranda! The North American Committee is pleased to announce that Claire Donovan of Vancouver Island has agreed to succeed Maggie Walsh as Faith and Sharing English Coordinator. In this 50th anniversary year, Claire will communicate soon with each of the English speaking groups to see how each group plans to celebrate. Thank you Claire for your "Yes"! May Jesus guide you and enlighten you. Former participants of the Saint-Jean-Longueuil group will meet at Marie-Thérèse Rancourt home Friday evening, February 9, to pray and remember the beautiful moments experienced during their meetings. For example: a participant said that at her first visit, the theme was forgiveness; she was still impregnated with this grace. Marie-Thérèse and her late husband Léo were active at Faith and Sharing, and in charge of their group in the diocese of Saint-Jean-Longueuil for several years, hosting a bi-weekly prayer evening and organizing retreats. Let us give thanks for all the blessings of these 50 years!